Warsaw, October 3, Interfax - Instances of Moscow Patriarchate's Ukrainian Orthodox Church places of worship being appropriated by the self-proclaimed Kiev Patriarchate should be at the center of international attention, the Russian Orthodox Church said. “I am very hopeful that such practice of absolutely illegal seizure of cult buildings from communities will be discontinued and condemned. 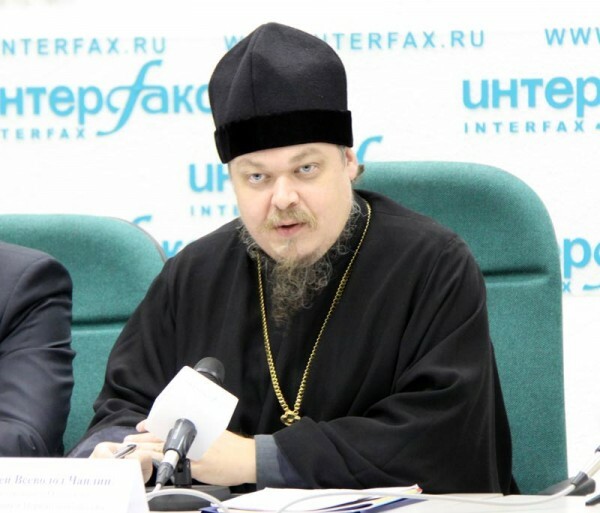 And I hope that global community will pay closest attention to this practice, these sad incidents,” Archpriest Vsevolod Chaplin, the head of the Moscow Patriarchate’s Synodal Department for Relations between Church and Society said on the sidelines of a meeting of the Organization for Security and Co-operation in Europe Office for Democratic Institutions and Human Rights (OSCE/ODIHR) in Warsaw. Some parts of Ukraine saw “attempts to decide the allegiance of any particular church to any particular religious organization illegally, by way of some popular gatherings,” Father Vsevolod said. In particular, there were attempts to move Moscow Patriarchate’s communities into the so-called Kiev Patriarchate, he said. “A religious community is entitled to its own property, especially in the case where it was created by generations of ancestors. And no outside organization – neither a government agency, nor a popular gathering, nor law enforcement authorities – has the right to strip such a community of a church building which has belonged to it for decades, if not centuries,” the priest stressed.